CNN channel has used the hologram system for the first time in the history. Awesome tech for viewers like me and you... Take a look, please. 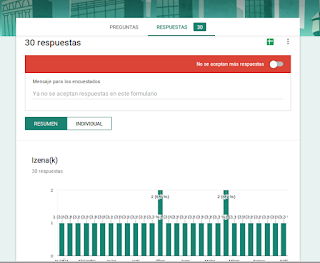 This is the list of the students I have seen at Google: Aitor Gametxo, Nekane Ortega, Goirigoltzarri, Etxaniz093, Iñaki Lauzirika, Eneritz Iraola, Aitor Sainz, Amaia Asenjo, Aitor Lobato, Maitane Junguitu eta Aritzongo.